Why not save time and money when Moving from California to London? With Intlmovers, you can easily find and compare a number of international moving companies at once. All you have to do is select your moving locations from the easy to use drop down menu, complete the short request form, and your details are immediately matched and forwarded to international movers who are experts in the move you need! Making an international move is usually filled with a lot of excitement, a little apprehension and a lot of work. You can really avoid a lot of the unwanted hassle by getting a reliable and trusted international mover to help you move you and your family to London. 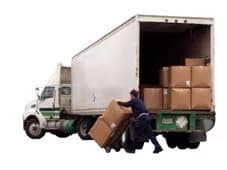 These companies specialize in international moves every day, and know the tricks to make your move more efficient and ensure that everything goes to plan. Save your sanity and entrust your move with experts! Moving to London is quite a distance from California. You can compare up to six quotes from international movers who focus on moves in and around London. By comparing quotes, you can easily see what the total services are included for the price. Make sure that you compare not only the total price at the bottom of the quote, but what services are included so that you can be sure that you are getting the best value for your move, rather than just the best price. Do you have an dual citizenship, and is one of those countries that you hold a passport for is a member of the EEA (European Economic Area) or EU (European Union)? Then you don’t need to obtain a visa for your stay in London, or anywhere in the UK. London is the host of the Olympic Games in 2012. The employment market in London has received a huge boost. London is preparing for one of the world’s largest and most watched sporting events. This helps further bring London under the global spotlight. It also brings a number of additional employment opportunities. London has historically been a major center for business and innovation. Today, the strategic location of London makes it not only a central hub for the UK, but also for Europe as well as global connections. Many major companies have head offices located in or close to London across all areas of business, including investment, finance, insurance, government, fashion and more. It is reported that there is a skilled workers shortage in London, with the most affected areas being in the vocations of engineering, medicine (including dental, nursing), science and teaching. As the capital city of England, not only is the cost of living in the London considered relatively high in comparison to other UK locations, but it is also considered to be one of the most expensive cities in the world. The price of real estate is considerable and weekly rental costs vary across the city, depending on your distance from the centre of the city and which area you choose to live. The more expensive areas of London are considered to be Knightsbridge, Belgravia, Chelsea, Kensington, Mayfair, Holland Park, South Kensington, Hampstead, St John’s Wood and Regents Park. Eating out in London is also quite expensive, although you are presented with a myriad of choices across all types of cuisines. The typical British pub food options of fish and chips, shepherds pie or peas and mash could be your cheap eat solution for around £7-10, in comparison to some more exotic Asian, European or South American dining choices in the popular areas such as SOHO. Intlmovers has partnered in helping people find the right international moving company quote since 2003. Intlmovers sends thousands of international moving quotes per day for people that are moving from anywhere within the USA to anywhere in the world! We have a three bedroomed home that we need to completely move. Each bedroom includes a bed, chest of drawers, side table; 3 piece sofa setting with coffee table, dining setting with 6 chairs, assorted kitchen & assorted personal items (perhaps 40 boxes in total). We began packing a number of unused items and already have a stack of about 20 boxes, and feel like we have barely made a dent! Allow a total of 60 boxes, plus beds that we will need wrapping for. There is a real pub culture here which I found a little difficult to get used to, but now I find that it is a natural option to go for a pint after work, I just make sure that I keep it in moderation – of course! I started taking the bus in preference to the Tube when I arrived, because I found that it helped me find my way around the city a lot better. I was above ground and I could see more and make the connections of what was where. The Tube is great for getting somewhere but you pop up and you’ve missed everything in between. The first thing I did was arrange my Oyster card for travelling around and it was so much easier. I think the public transport system here is fabulous, but then I’m lucky that where I live and where I work are pretty close to each other too. I just can’t get in to the whole cricket thing, but the football culture is a whole other story. Whilst I’m not a fanatic, I do find it interesting, especially with the EK just around the corner. I found that it has been a real eye opener moving here. I’ve encountered really friendly people who do go out of your way to help you, and other people who are just out and out rude. But you get that in big cities, no matter where you go. My advice is to always remain friendly, no matter what! We just went straight to the Embassy and got the right information up front. We were able to save time by not having to go back and forth with the wrong documents. Be patient and be polite, it is not that complicated to arrange your visa but having the right attitude will make the whole process a little less stressful. I decided to try one of the agencies that I found online. Okay, I did pay extra for the service but I think it was worth it in the end. I was able to arrange most of everything directly with my work, so that was a real bonus. If you have that opportunity, it can really save you a lot of headaches and let you focus your energy on getting other things ready. I came here with a study visa which was able to be handled with the help of my school at home, which really helped. I was glad to have their support and guidance to get my visa organized so quickly and easily. All requests that are made via Intlmovers are completely obligation free, so no matter how many quotation responses you receive you should only accept one if it meets your expectations. Submitting your request with Intlmovers can be done completely risk free! It costs you nothing, it is quick and easy to use, and there is no obligation – so why wouldn’t you use it?